Home New Releases Zach Larmer Electric Band: “Inner Circle” stretches, caresses, lingers and electrifies in just the right places! 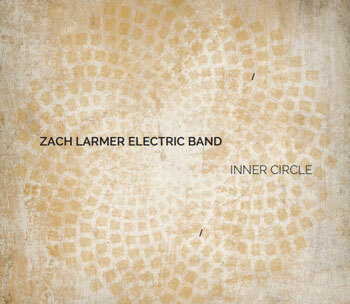 Zach Larmer Electric Band: “Inner Circle” stretches, caresses, lingers and electrifies in just the right places! 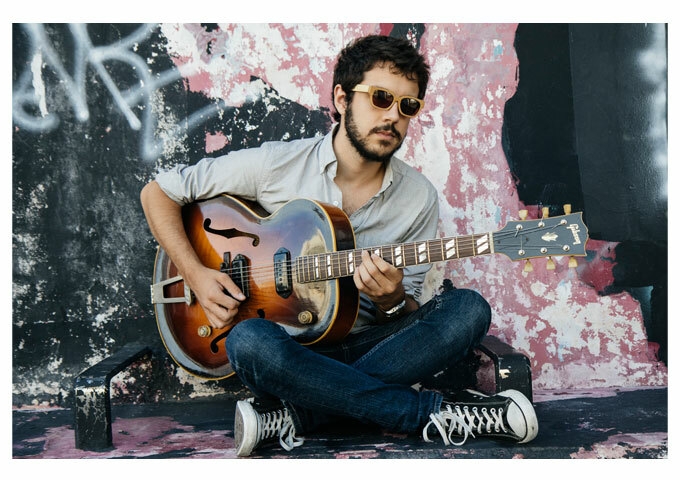 The Miami-based guitarist Zach Larmer has won numerous awards and has appeared on various albums and television shows. He has also shared the stage artists such as Albert and Jimmy Heath, Mark O’Connor, Bruce Saunders, Rees Bridges, and Bryan Lynch. Zach heads a quartet called the Zach Larmer Electric Band who is getting ready to release its debut album on the 3rd of March 2016, entitled “Inner Circle”. The album is built around a concept idea by Kurt Vonnegut, which has fascinated Zach for years; Kurt recognized the necessity of creating a synthetic family or clan-like setting, in order to fulfill our biological desire for closeness with others when moving away from our own families. 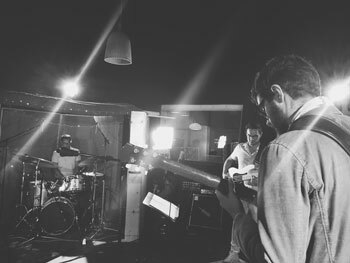 On the album, the Zach Larmer Electric Band includes keyboardist Tal Cohen, Juan Pablo Diaz and Jermaine Walden on bass, and Rodolfo Zuniga as well as David Chiverton on drums. Trumpeter Brian Lynch, saxophonist Aldo Salvent and John Daversa (on EVI and trumpet) also make important appearances. 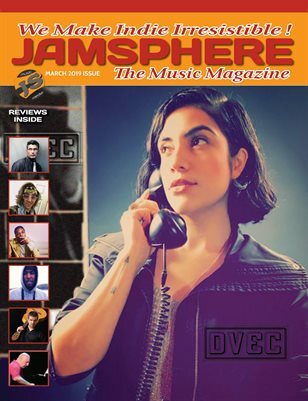 “Inner Circle” is one of those rare happenings where highly intelligent, accomplished musicians get together and allow each other to unfold and shine through their relaxed and sensitive approach to making music. None has anything to prove or the need to upstage anyone else, and this leads to a transparency and variety in color, texture and tone which is hard to find in popular music. Apart from this, the arrangements are crisp and the musical material highly sophisticated, but never complicated to listen to – which is already a major plus for anything connected with Jazz or its sub-genres. Genius shows itself when sophistication is made accessible. This is what the Zach Larmer Electric Band has managed to do on this album. If you like smooth jazz bordering on fusion it probably doesn’t get any better than this, and part of what makes this album so great is the quality of sound as a result of the choice of instruments, audio gear and studio production. Every note is crystal clear. Listen to this album on your best sound system and you will see what I mean. The sound is impeccable. I won’t bother with individual songs, ok I lied, you have to hear “Garden Of Eden” to help illustrate my point about how good the sound is. The guitar notes sound as if the strings are being picked in your home, as the various instruments blend harmoniously in a delicate rapture of luminosity. 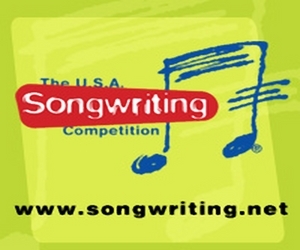 All of the songs however are great; it is only degrees of greatness that separates them. If it’s groove you’re after then look no further than “I Left It Bayou”. For the ‘atmospheric’ buffs like myself, who adore the spaces between notes and then the dynamic intensity by which each note is played in relation to the overall arrangement, bathe yourselves in what I consider the best track on the album – “Softly As In A Morning Sunrise”. Without of course forgetting the title track, “Inner Circle”, which stretches, caresses, lingers and electrifies in just the right places. 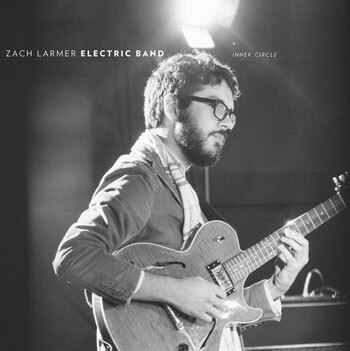 The Zach Larmer Electric Band is definitely a band worth pursuing, not just because Zach Larmer is a sublimely tasteful and talented guitar player, but because there is just so many good things going on in the music. 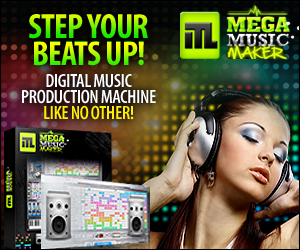 Listen to how the drummer accents, punctuates, and sparks the band, or how the keyboards add harmonic texture on several levels, or how the bass player anchors the rhythm or improvises his runs. The Zach Larmer Electric Band set the bar pretty high for a lot of musical pretenders out there still fiddling with their software programming. There’s nothing like the chemistry of a real group where every musician is above par and allowed to contribute their musical talents to find new heights! Catch the Zach Larmer Electric Band at their official website www.zachlarmer.com for news, updates and music releases. You can also follow Zach Larmer on Instagram and Facebook. JRS3: “Red White Blue/You and Me” – a very smooth but rugged sound which will appeal to numerous ears!